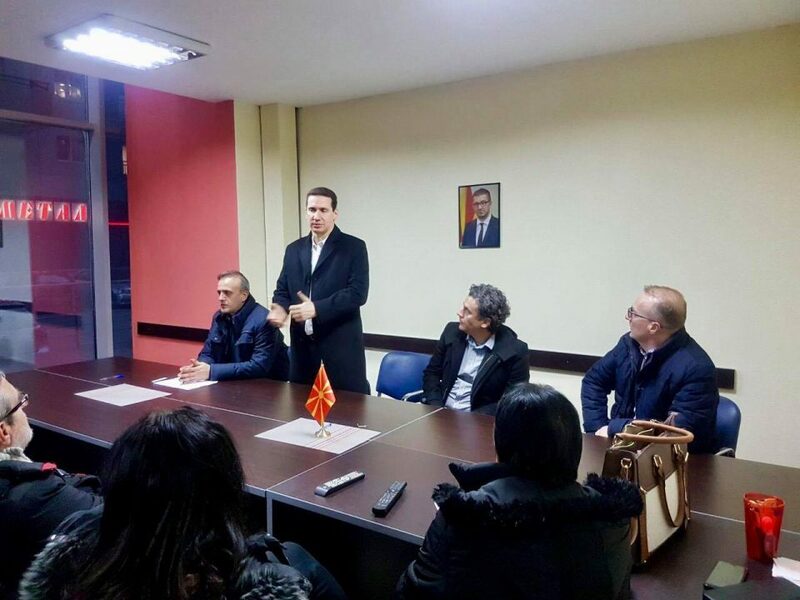 Vladimir Gjorcev, one of the leading contenders for the VMRO-DPMNE presidential nomination, met with party members in Skopje’s central areas and Butel, where he presented his program for the coming elections. Gjorcev resumed his campaign after a visit to D.C., where he attended the National Prayer Breakfast and met with conservative congressmen and officials. He was joined by former Foreign Minister Antonio Milososki, who supports his nomination and campaigns with Gjorcev. Today the candidate will campaign in the eastern parts of Macedonia, which he represented in Parliament for years. VMRO-DPMNE will elect its candidate for President at a convention scheduled for February 16th. A total of nine candidates are running, with Gjorcev and professor Gordana Siljanovska considered to be front-runners.